Widen the view of your camera! 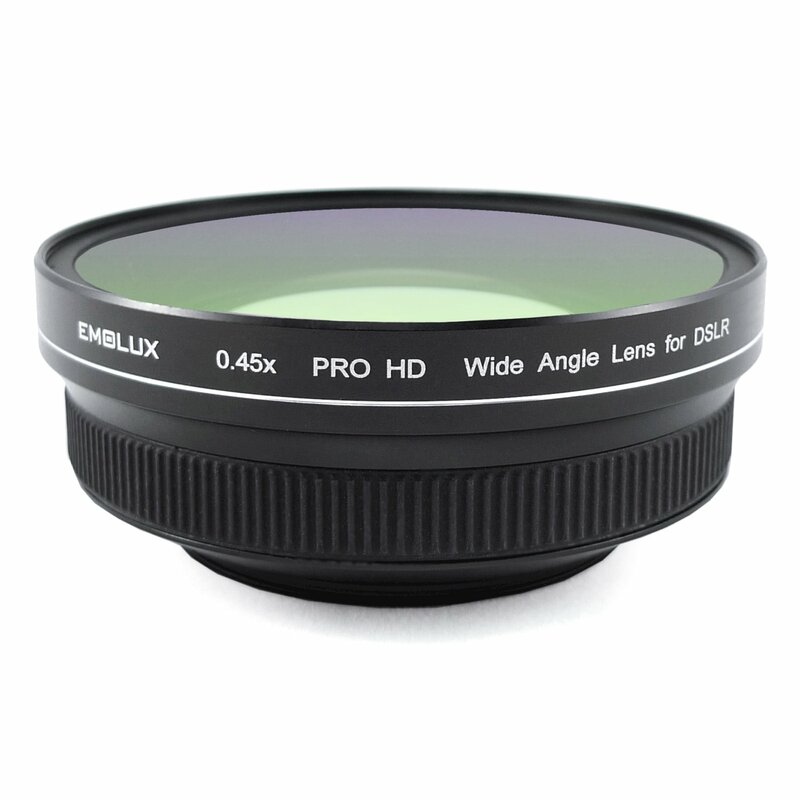 The new Emolux 0.45x pro HD wide angle converter lens (72mm) is designed for DSLR lenses to deliver super high resolution wide angle image clarity. professional grade optical element that undergo precision polishing processes are used in the optical system for maximum image clarity when used on DSLR lenses. Focal length is Effectively reduced by a factor of 0.45x to achieve a wide coverage of 8mm when used on 18-55mm APS-C lens. The extra wide angle is particularly usEFul for taking wide landscape and majestic architecture which requires a large depth of field for maximum scene to be captured in 1 single picture shot. all optical elements undergo ultra low reflection multi coating process which further minimizes chromatic aberration and astigmatism to obtain clear, crystal sharp digital images that are comparable with digital lenses with fixed focal length. Suitable for Canon, fujifilm, Nikon, Olympus, panasonic, Sony, samsung lens with filter size of 72mm.